Okay, first off, the whole story, with the exception of a SMALL part near the end, is in Ethan's point of view. Weird, no? Usually stories like this are told in the GIRL'S point of view but the fact that it was in ETHAN'S was...actually sort of fascinating. For two female authors, they portrayed Ethan's character remarkably well. I absolutely love good books that are good and LONG. 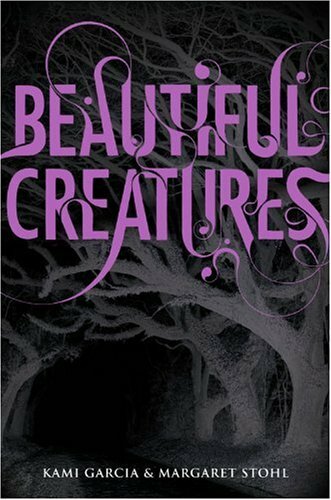 If you're looking for something to hold you over for a few days, Beautiful Creatures is your book of choice. The mystery is well-developed and thorough. Beautiful Creatures is now resting on my bookshelf, having bought it without reading it first! But I thought, this looks like a good book. And hey, I didn't bring it back to the bookstore, although two books had that unfortunate fate today. Don't you just love the cover? I was fascinated with the font and I was constantly following the curves and where they met up.